LA PORTE, TX (KTRK) -- A woman on vacation got a call no one wants to get: her home was burglarized while she was away. But who was accused in the case -- her own niece -- was another surprise. La Porte police say the burglary happened Sunday around 3am in the 10800 block of Collingswood. A neighbor called police after seeing three people at the home, two taking items from the property and one serving as a lookout, police say. 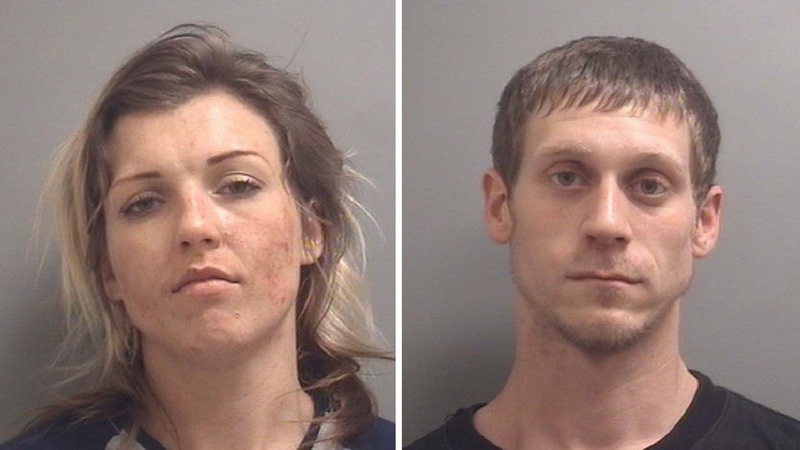 When authorities arrived at the woman's house, they say a man and woman ducked down inside a parked vehicle next to the supposed burglarized residence. Police say when they spoke with them in the parked vehicle, Hayley Seale, 23, of La Porte, claimed she had permission to be in the house. However, when police called Seale's aunt, the woman revealed that while Seale was indeed her niece, she didn't have permission to be in the home. The homeowner pressed burglary charges against Seale and 25-year-old Andrew Wright, of Houston. The Harris County District Attorney's Office accepted the charges. La Porte police say a third suspect - the alleged lookout - remains at-large. He is described as a tall, bald-headed, young adult, white male. If you have any information regarding the identity of the third suspect, please contact La Porte Police Department's Criminal Investigation Division at 281-842-3173.